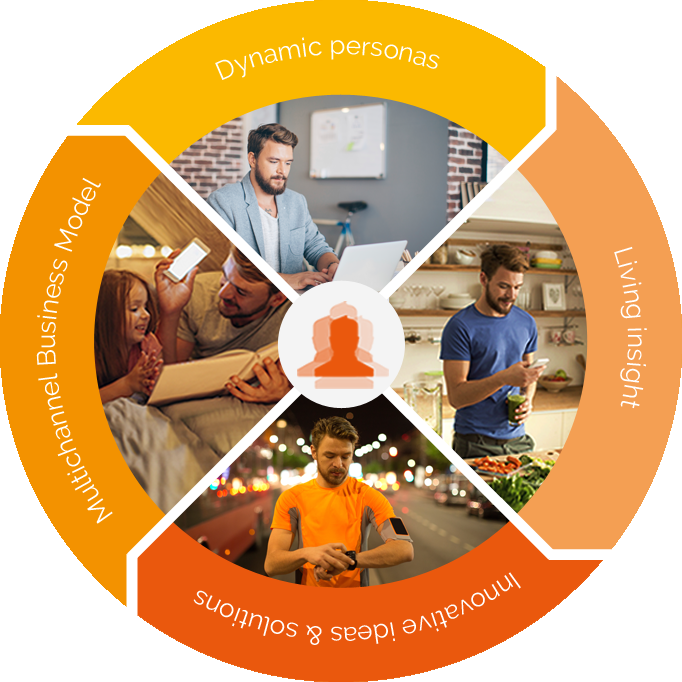 Dynamic Personas® is a new way to look at the so called "target" in marketing and communication activities. Dynamic Personas™ is natively multidimensional and dynamic in nature. A consumer target profiled on socio-demo and purchasing behavioural data. based on an original approach "Dynamic Personas®". 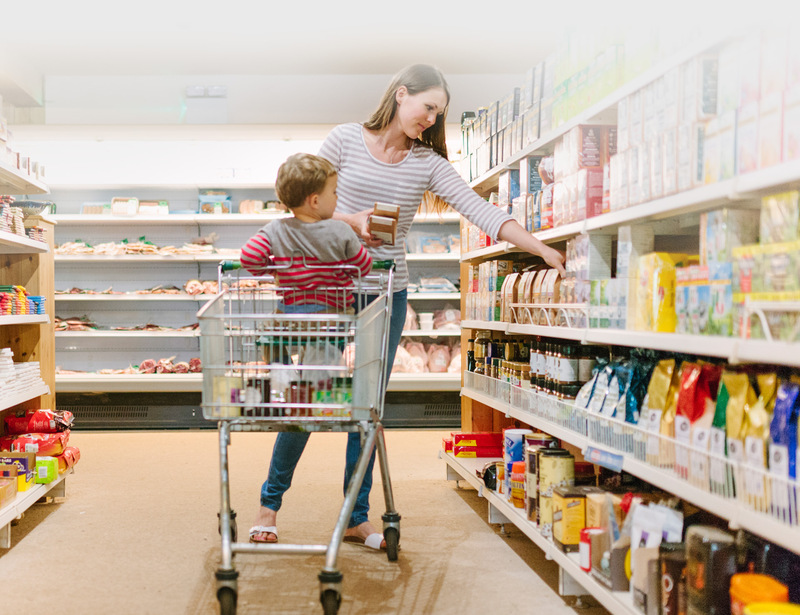 We set aside the rigid, traditional approach of translating "consumer targets" into "media target" and embrace the idea of "Dynamic Personas™", who display different facets depending on a diverse range of factors like time, location, motivations, emotions, etc. All of these factors can nowadays be easily measured/inferred and processed in real time. the "living insight", which is the immediate reaction by the brand to the specific need captured by mask and intents. the touchpoint mix, that is the set of moments, channels and living insight to engage an individual using hyper relevant content. A dramatic shift is underway in the IT-Marketing ecosystem. 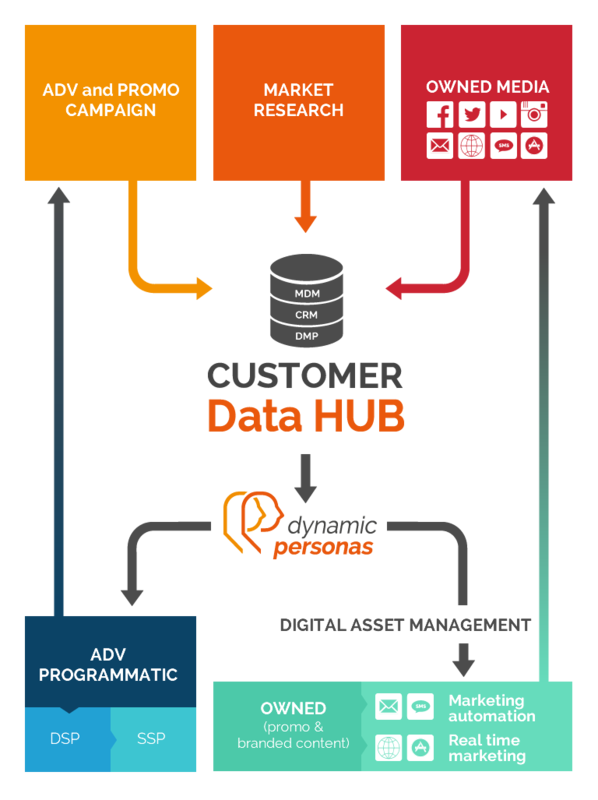 and support marketing and communication data driven decision and actions across all touchpoints. providing real-time intelligence to all multichannel initiatives. The Dynamic Personas® approach is continuously updated. Download the abstract of the first white paper, or register to request the complete version for free. Dynamic Personas® is a methodology and a brand owned by Personalive S.r.l. © 2016 Personalive S.r.l. | VAT Code: 09364250960 | Issued Stock 10.000 € | REA: 2086398 | All rights reserved. This information is provided pursuant to art. 13 of Legislative Decree no. 196 of 30 June 2003, for users who consult this site and use the services provided. The information is provided only for the www.personalive.it website and not for other websites accessed by the user via links. A.	Booking to free events (congresses, workshops, seminars, etc) organized by Personalive. B. To send the monthly Informative newsletter with news related to researches and events organized by Personalive. C.	To send communications about events (invitation to congresses, workshops, seminars, etc) by email and/or sms and/or instant messaging. D.	To send commercial communications about new services of market research and advisory developed by Personalive by email and/or sms and/or instant messaging. Processing of data for the aforesaid purposes will take place using both automated and non-automated means and in compliance with the rules of confidentiality and security provided for by law. 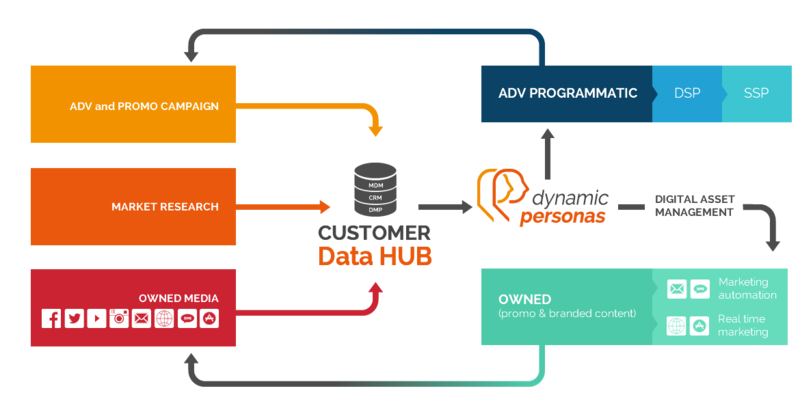 Data will be processed solely by processors appointed by Personalive in its capacity as Data Controller. Certain personal data is collected implicitly by the use of the Internet communication protocols during normal navigation on this site. This category includes IP addresses or domain names of computers used by users to connect to www.personalive.it, the method used to submit requests to the server and other parameters regarding the user's operating system and computer system. This data is used anonymously and only for statistical purposes in connection with use of the site. No personal data concerning users is acquired by the website. No cookies are used to transmit information of a personal nature, nor are persistent cookies of any kind, i.e. systems for tracking users used. The use of session cookies (which are not stored permanently on the user's computer and disappear when the browser is closed) is strictly limited to transmitting session identifiers (consisting of random numbers generated by the server) necessary to enable safe and efficient exploration of the site. The session cookies used in this site avoid the use of other technologies that could compromise the privacy of user navigation and do not allow acquisition of personal data identifying the user. Apart from that described for navigation data, the provision of data is optional and any refusal does not imply any consequence except the impossibility to request information from Personalive and be informed of its activities. Data collected will not be disclosed to any person outside of those appointed as processors by Personalive in its capacity as Data Controller. Data collected will not be disseminated. The data controller is Personalive srl, with registered offices in Via Vittor Pisani, 7 - 20124 Milano. Subjects to whom the personal data refer have the right at any time to obtain confirmation regarding the existence or otherwise of such data and to know its content and origin, verify its accuracy or request its integration or updating, correction or cancellation pursuant to art. 7 of Legislative Decree 196/2003 fully transcribed below for convenience, by writing directly to the Data Controller. The data subject has the right to obtain confirmation of the existence or otherwise of personal data concerning him/her, even if not yet recorded, and its communication in an intelligible form. e) of the subjects or categories of subjects to whom the personal data may be disclosed or who can become aware of the same as designated representative in the Country, data processor or processing operators. c) certification that the operations pursuant to points a) and b) have been notified, also as related to their contents, to those to whom the data has been disclosed or disseminated, unless this requirement proves impossible or involves the use of means manifestly disproportionate to the protected right. b) to the processing of personal data concerning him/her for the purpose of sending advertising materials or direct marketing or for carrying out market research or commercial communication. Cookies are text files containing small amounts of information which are sent to your browser and stored on your computer, mobile phone or other device when you visit a website to be stored. In this way, the website's server will be able to recognize your device on all of your next visits, as cookies are sent back from your device to the website. Cookies may be set by the website you are visiting ('first party cookies') or they may be set by other websites who run content (images, maps, sounds, links to websites of different domains, etc.) on the page you are viewing ('third party cookies') that are located on a different server from the one you are visiting. Technical cookies are installed for the sole purpose of "carrying out the transmission of a communication over an electronic communications network, or as strictly necessary for the provider of an information society service explicitly requested by the subscriber or user to provide the service" (see art. 122, no. 196/2003 co. 1 of Decree - cd. Privacy Code - as amended by Legislative Decree no. 69/2012). They are usually used for an efficient navigation between pages, to store user preferences and information about specific user configurations, to perform user authentication, etc. Technical cookies can be divided into navigation cookies, used to record useful data to normal navigation and use of the website on your computer (allowing, for example, to remember your preferred size of the page for a list) and functional cookies, which allow the web sites to remember user's choices in order to optimize the functionality (for example, functional cookies enable the website to remember a user's specific settings, such as selecting the country and, if set, the status of permanent access). Some of these cookies (called essential or strictly necessary) enable functions without which it would not be possible to carry out some operations. In accordance with the said Article. 122, co. 1, Privacy Code, the use of technical cookies does not require user consent. To technical cookies are assimilated (and, therefore, as included in the Measure, for its installation, it is not required the user's consent) the so-called analytical cookies, if used by the site operator for the purpose of optimization of the site itself to collect aggregated information on the number of users and how they visit the site. Profilation cookies are used to track user navigation, analyze his behavior for marketing purposes and create profiles on his tastes, habits, choices, etc. in order to transmit targeted advertising messages in relation to the user's interests and in line with preferences they had manifested during the online navigation. These cookies can be installed on the user's terminal only if this has given its consent to the procedures indicated in the Measure. Depending on their length, cookies can be permanent (these are known as persistent cookies) when they remain stored on the user's device, unless removed by the latter, or temporary (these are known as session cookies) which are not permanently stored on the device user and disappear when the browser is closed. This site uses technical cookies (functional and navigation), installed by the site itself in order to monitor the functioning of the site and allow efficient navigation on the same. This site allows users to share content of this site on Facebook, Twitter, Instagram, YouTube. In doing so, however, users have direct access to the sites of these Social Network that set their cookies on their own website. Also in this case they are "third parties" cookies that are governed by the relative information and it is to them that references should be made. Please note that it is also possible to manage / disable cookies using your browser settings. The setting can be defined specifically for the different sites and web applications. Also the best browsers allow you to define different settings for "owned" cookies and those of "third parties." If you are using any other browser, search how to manage cookies in "settings".